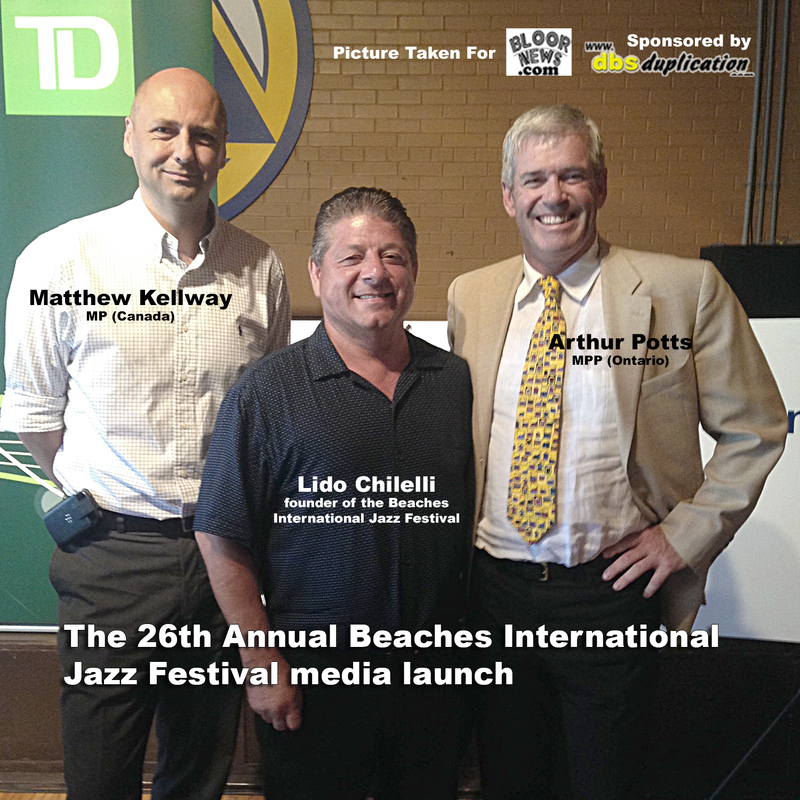 WHAT: The 26th Annual Beaches International Jazz Festival kicks off with a media conference luncheon where organizers will announce this year’s musical program: July 18-20/TD Main Stage Concerts at Woodbine Park; July 21-23/TD Workshops at Mennonite New Life Centre; July 22-23/Taste of Jazz at Woodbine Park; July 24-26/StreetFest on Queen Street East;July 25-27/OLG Main Stage Concerts, Latin Square and Big Band Stages at Woodbine Park and July 26-27/TD Workshops at Latin Square and Big Band Stages. 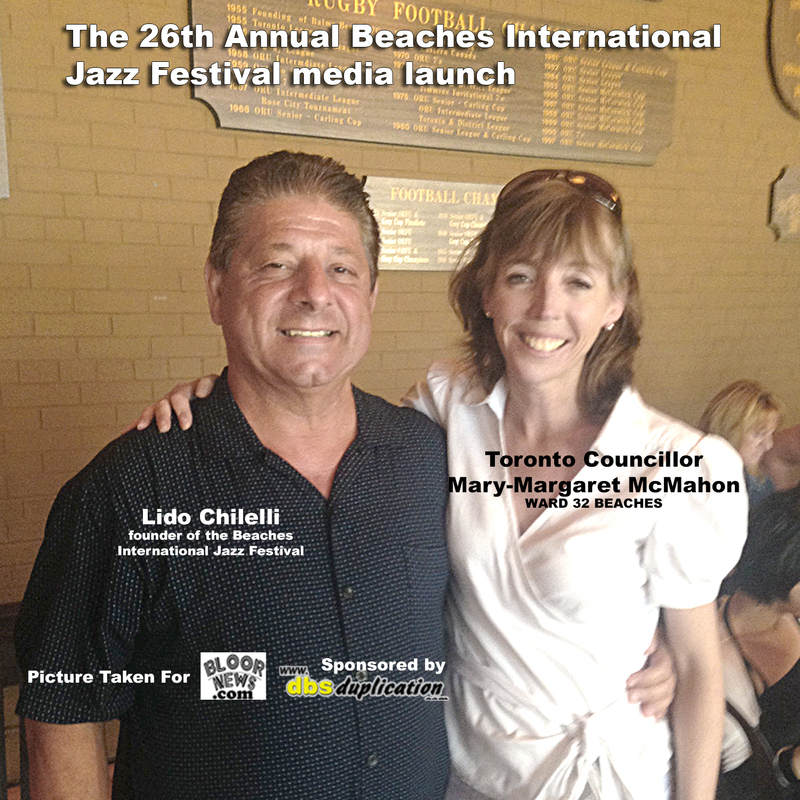 WHO:Lido Chilelli, founder of the Beaches International Jazz Festival and Bill King, artistic director, will acknowledge this year’s sponsors and discuss how BEACHES JAZZ has become one of Toronto’s most anticipated summer events. Members of the Toronto East General Hospital Foundation Board of Directors will discuss the Festival’s contribution to its fundraising campaign. Festival sponsors include the Ontario Lottery and Gaming Corporation, TD Bank Financial Group, Mill St. Brewery, Dan Aykroyd Wines, Toronto Port Authority, Ontario Media Development Corporation, Canadian Heritage, CTV and Subaru Canada. Masterful jazz pianist, Quincy Bullen will be performing.